border, what evidence do you have. the order. Obama does it all the time. I'll give you credit for the man-up. I just wish I took Trump at 50-1 when Mike offered it. Why do you think whether or not he is telling the truth on one issue has anything to do with whether or not he is telling the truth on another? Specifically, what does what he could do to double the number of border police have to do with whether or not he appoints a special prosecutor to investigate Hillary, or whether or not he releases his taxes? A promise broken is a promise broken, and time will tell which of his promises he breaks. he looked 12 or 13, my god he's only 10! 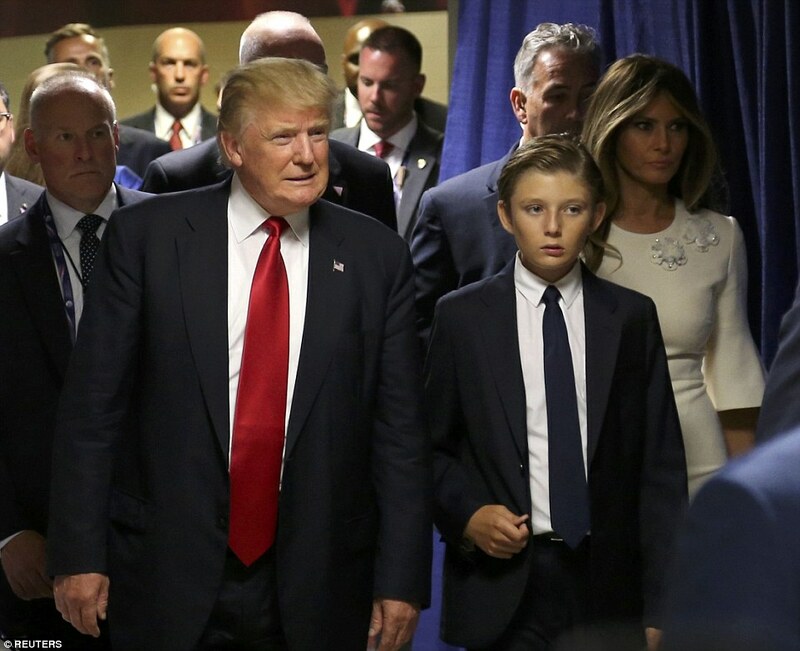 a lifetime ahead with his dad as president. That seems to be the crux of the matter. It's like going through a group of 100 women and asking them who eats an entire candy bar in one sitting. What the women say and what they do is entirely different. When Trump's campaign manager, Kellyanne Conway, made that statement many people laughed at her. They said why not just stick to the old chestnuts like "the race will tighten in September" and "the only poll that counts is the one on Election Day". I laughed. I was wrong. closest in 2012 hit it again this time. very close and both called it for Trump. "the only poll that counts is the one on Election Day". That poll states 52.50% of the electorate voted for someone other than Trump. Him and "his" party ought to look very hard at that number. The ruling party in Canada (the liberals) got elected with less than 40% of the popular vote. In Europe where many countries have 10 or more parties governments get elected with less than that. Yes, and Canada is looking at some sort of reform. Which will lead to more coalitions, which I am in favour off. I'm all for minority parties getting seats at the table, but it's not really possible to split the single job into pieces.